Here is a perfect luncheon dish or room decoration for your own little 'Jack'! 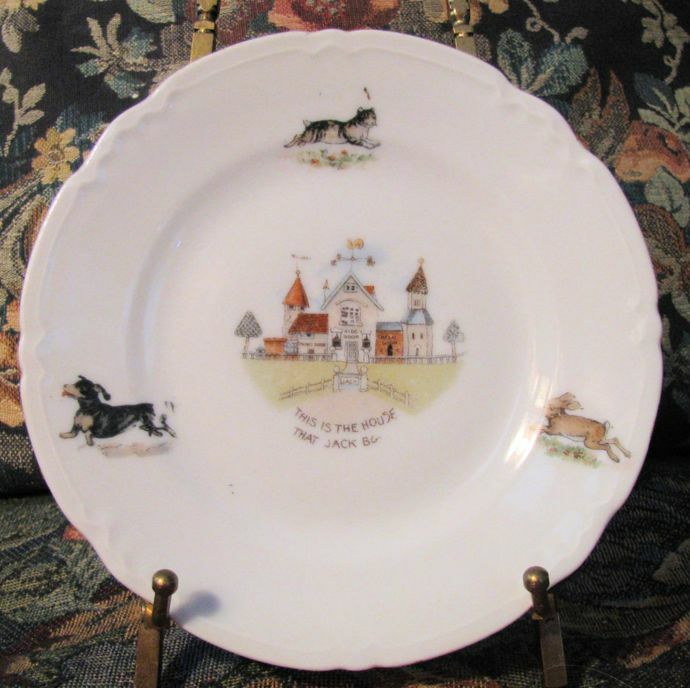 A white glazed antique German porcelain side plate, decorated with a transfer-printed scene of the house from the nursery rhyme 'The house that Jack built' and featuring a transfer rabbit, cat and Dachshund and the sweet, detailed house with a labeled side, back and front door. 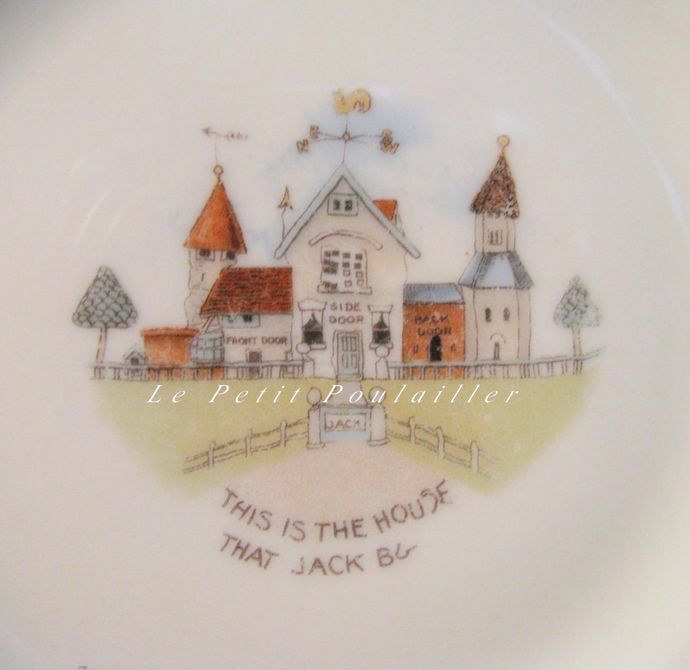 The sweet child's plate, side dish or trinket plate is in good "pre-loved" antique condition with bright fun transfers - graphics of The House that Jack Built showing wear from age and handling over the years. I can feel no bites along the scalloped, embossed edge. Along the bottom central stint circle there are minor flaws, nothing that keeps the plate from sitting sweetly flat. 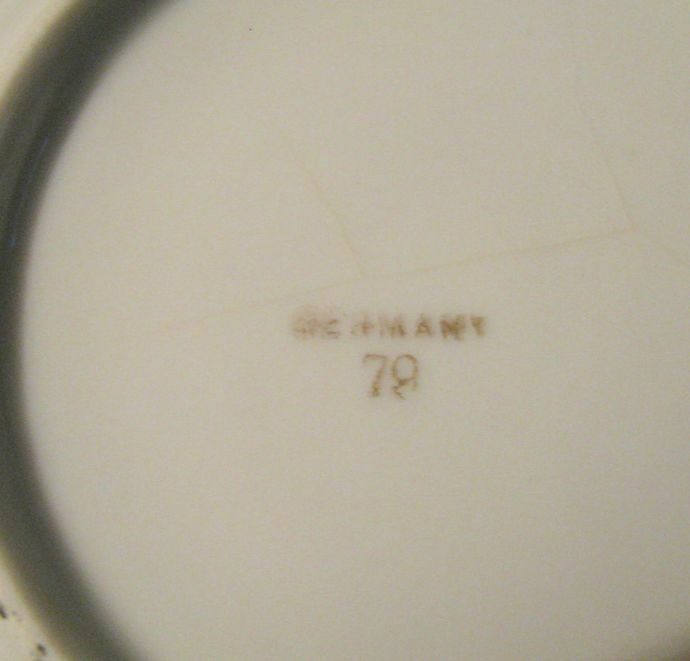 Hallmarked "German 79" clearly on the bottom. Some glazing spots and wear of the transfers from age and handling and many, many toddler lunches served. A sweet nostalgic display for child's room or doll display and a lovely addition to any collection measuring 6.25" [15.9 cm] in diameter. No chips, cracks or crazing, with a few fine scratch marks and transfer wear. I will send this to you well protected by USPS First Class parcel.